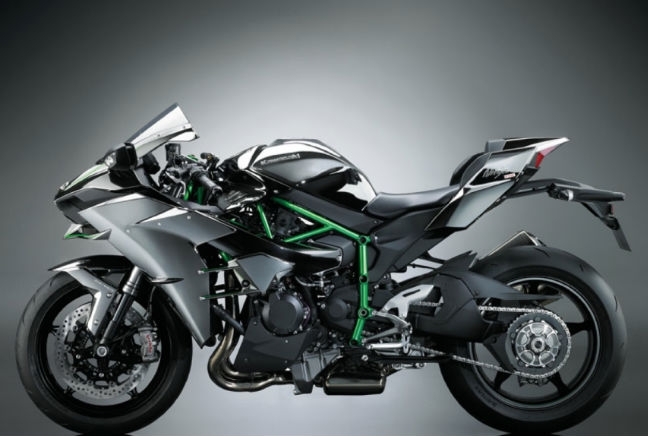 The Kawasaki Ninja H2 was one of the headline acts at Motorcycle Live and EICMA in 2014, and for anyone present when the H2R track-only version was revving up in Birmingham, you could hear why. The H2 is a 210hp behemoth and has a power-to-weight ratio of almost 1hp per kg. It also comes with an impressive array of electronic and driver aid systems, too, but you’d expect that with a list price of £22,000.